I have not read classics in a long time and love diving into this edition of Washington Irving's best. The timeless collection that introduced Rip Van Winkle, Ichabod Crane, and the Headless Horseman. The new Penguin Classics edition of Washington Irving’s THE LEGEND OF SLEEPY HOLLOW AND OTHER STORIES, came out the end of September just in time for Halloween. This new collection of larger-than-life tales contains Washington Irving’s best-known literary inventions—Ichabod Crane, the Headless Horseman, and Rip Van Winkle—that continue to capture our imaginations today, and features a new introduction and notes by Elizabeth L. Bradley, author of Knickerbocker: The Myth Behind New York and literary consultant to Historic Hudson Valley, the caretakers of Irving’s Tarrytown, New York home. This book is a great companion for lovers of Fox's hit television show Sleepy Hollow. 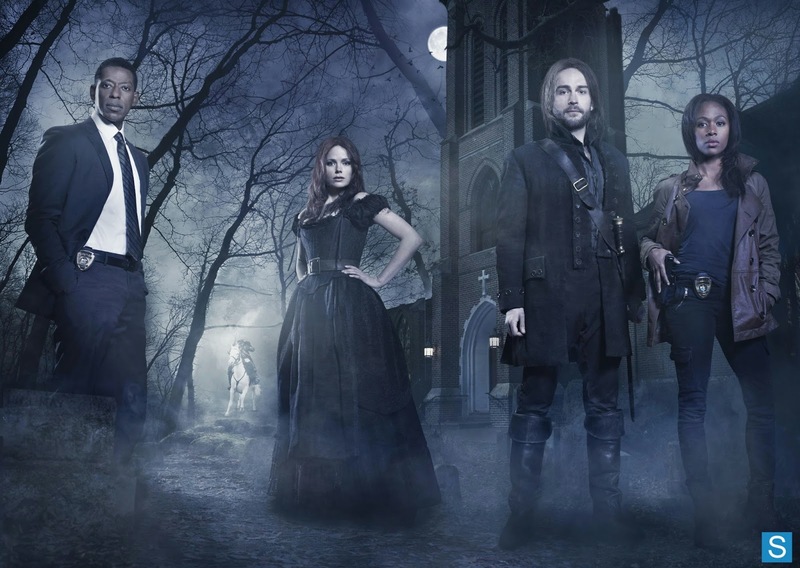 This series is a modern day adaption of Washington Irving's short story where Ichabod is resurrected and time travels. It's really a great show. While The Legend of Sleepy Hollow and Other Stories is not hard to read, the terminology is different but I found it so pleasant. This was writing and definitely reminds us how far the English language has evolved. There were times I felt that I have been missing out by reading what I currently read and how much better my vocabulary would be if I had stuck to the classics. I have not finished the book yet but so far my favorite has been The Voyage and The Widow and Her Son. In The Voyage Washington Irving speaks about the beauty, tranquil feel of the endless sea but also his fear of perishing in the violent waves. It is truly a wonderful piece of work and set me up for wanting to read more. The Widow and Her Son is another piece of work where the words are so lovely you want to cry just reading them. It is about a mother mourning her son and the gripping words that explain the coffin being lowered into the ground and the creaking of the cords adding to the anguish of the mother. My heart literally broke into two. I can't wait to read more and analyze the beauty of the words of Washington Irving. Classic stories are good to read, but sometimes they are quite dated. I recently read "The Wizard of Oz" and leaned that I like the Hollywood version with Judy Garland much better than the original tale. Also, "The Count of Monte Christo" was good, but hard to read. I don't know if was because of the original writing or because of the translation into English. However, the book explained a lot of this that were omitted from the movies I have seen. Charles Dickens' A Christmas Carol" will always be one of my favorites. I will always love A Wrinkle in Time. A Christmas Carol by Charles Dickens is my favorite!